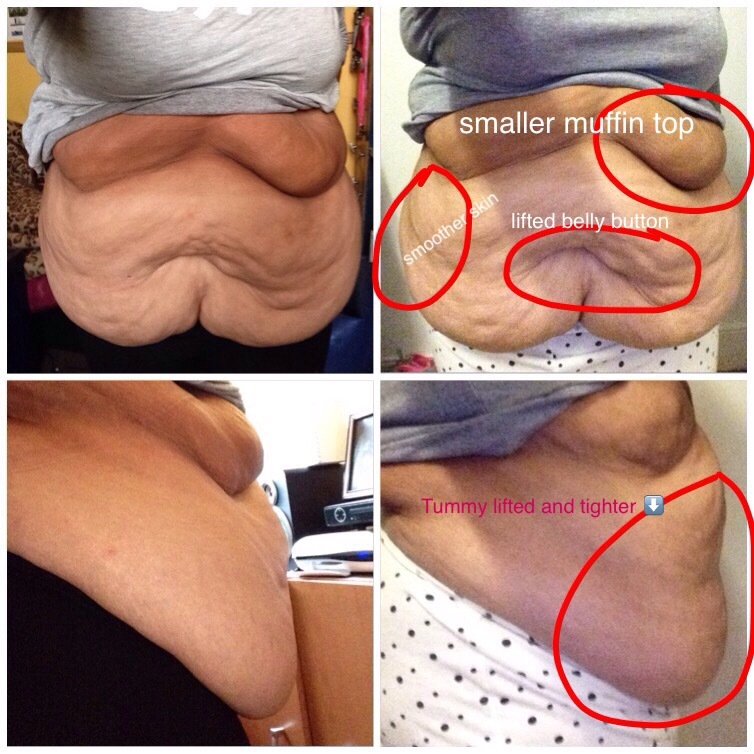 And they say that crazy wrap thing is a scam! Here are my results since last sunday. I did a wrap on sunday and a wrap on wednesday evening. I’ve used defining gel every day and keep a clean diet, with lots of water. 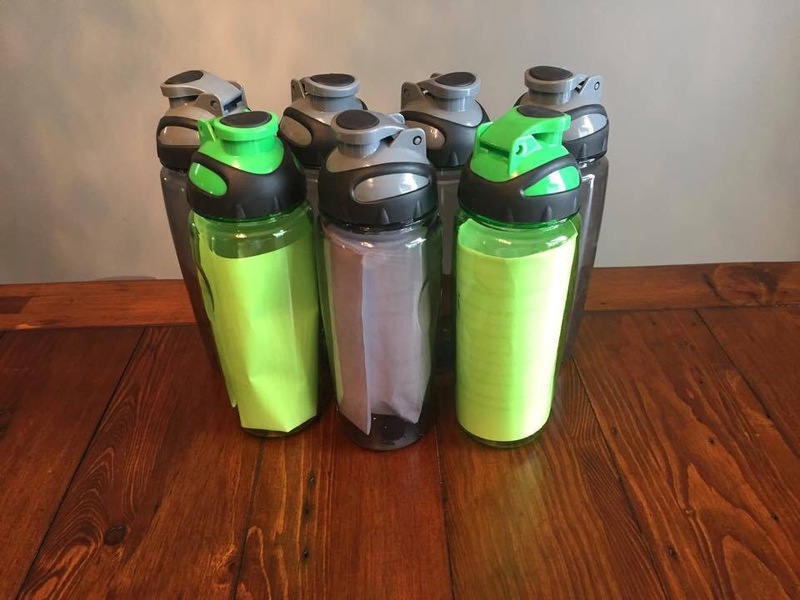 This experience is really making me value the wraps evening more, both in terms of their results and how they are making me keep hydrated and stick to clean eating, a goal of my 52 weeks to get fit blog. Even more so, since I have been sick with a flu virus and not able to exercise, watching what I eat has been more important than ever. I taking new photos each day and seeing the differance each day…even though i have been in this business for over 2 years, it is STILL so exciting to see my skin lift and change. Categories: 12 wrap challenge | Tags: Body Wrap, firm, ItWorksGlobal, nonsurgical, skincare, tighten, tone, Tummy tuck, Ulimate Body Wrap | Permalink. Complete with full instructions, the it works ultimate body wrap is the perfect mama’s day treat. 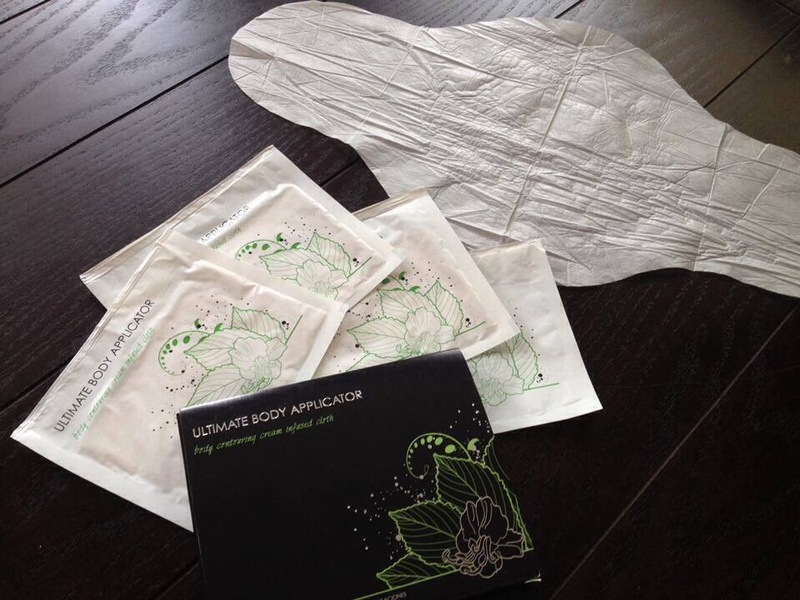 It will leave mum feeling, pampered, tightened , tone and firmed, without a trip to the spa. Perfect gift from son to mother. Daughters, treat mum and your self to our gorgeous facial applicator, a 45 minute full self applying facial wrap, which leave your face nourished, and smooth. 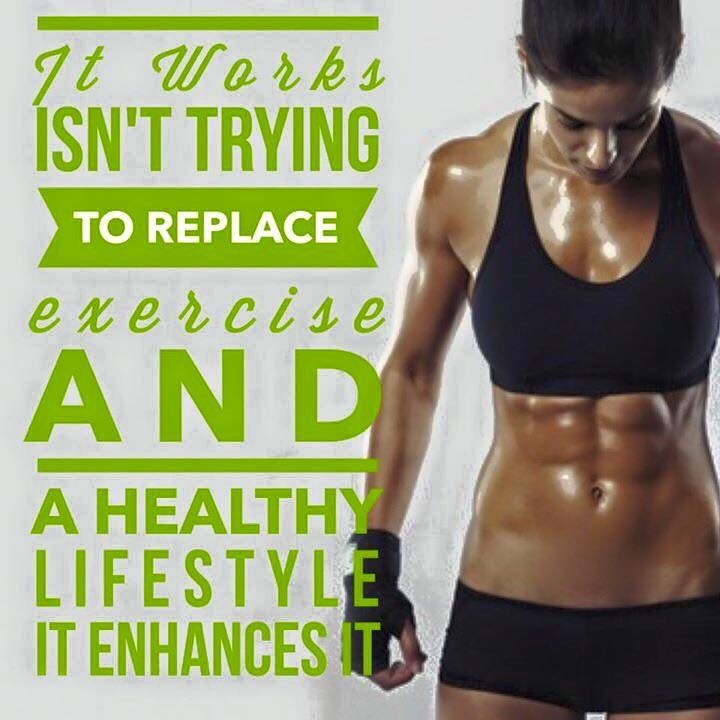 It combines, our first to market,it works body wrap, with our greens, a food plan and an exercise plan. Sign up mum to our 90 customer programme and buy her a gift a month for three months , show her how much you love her with thi amazing three month subscription , that give your 40% off all our prices… And allow mum to chose the products she wants. 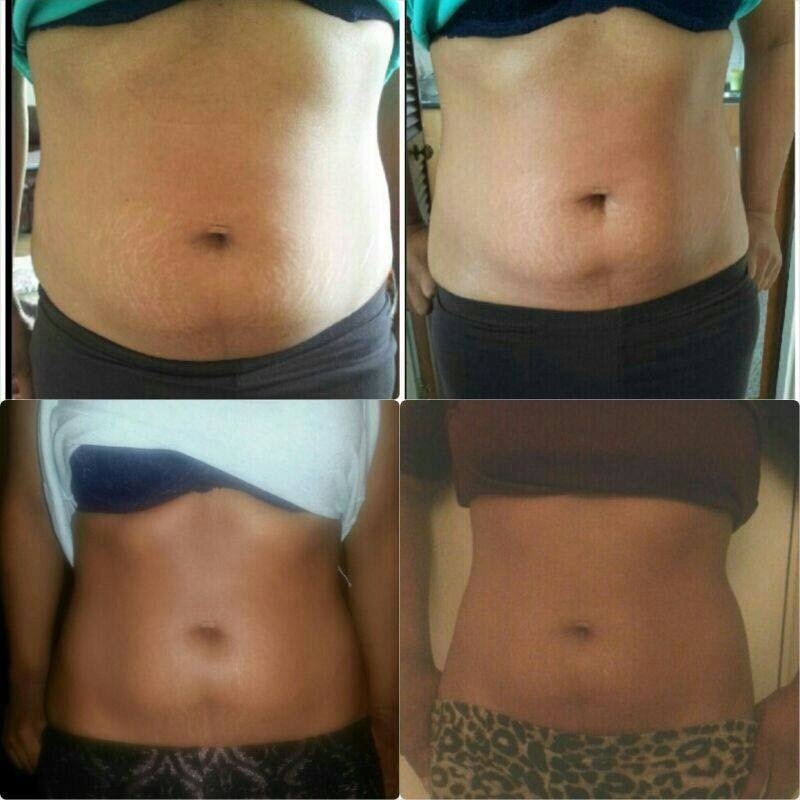 My story with our ItWorks Ultimate Body wraps, is this, I have wrapped on and off. I have experienced and seen change. But I have never done 12 wraps before. Basically what I mean is, I have never done a transformation , wrapping back to back. So, Over the next few weeks, my goal is to wrap every 72 hours, until I have completed 12 full wraps on my tummy. I will probably need more. But I still want to see what I will achieve, and importantly I want to share this with you. Rather then blog every time I wrap, I will blog weekly , with pictures. I will have done at least two wraps per week as we can only wraps every 72 hours. I am going to do this, so you at home can really see just how these wraps work. Here I am wrapped and ready to go with 1/12, on 21.2.16. Focusing on my tummy, as this is where I am losing weight, and where I already have damaged and saggy skin. 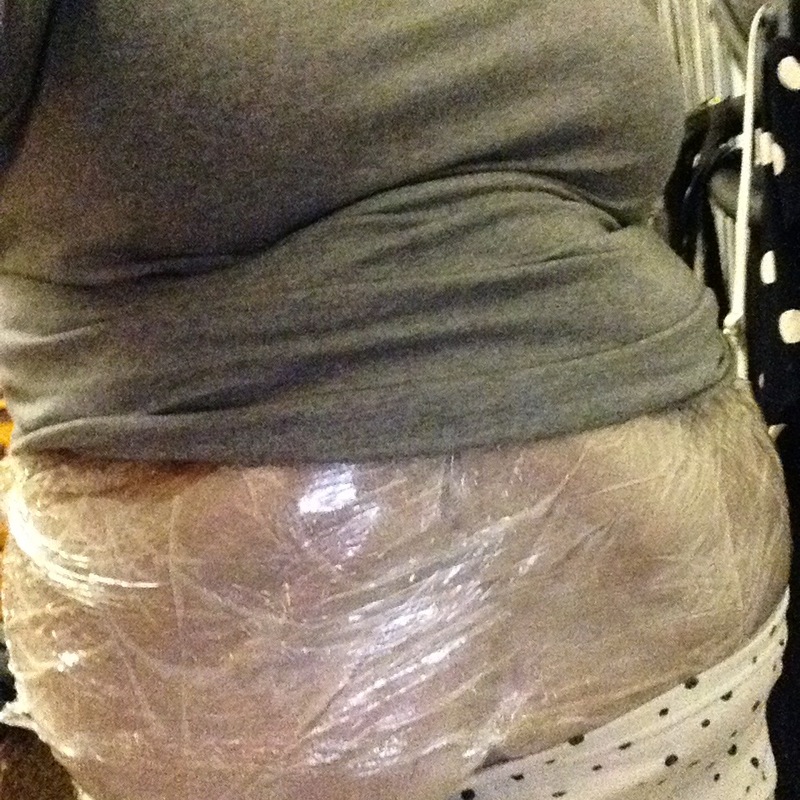 But before it was wrapped, it looked like this…as I reduce the size of the stomach with regular exercise, it is the skin, I want the wraps to transform. We look not just at size, but the lift, and the skin texture. On a tummy that is as damaged as mine, changes will take longer. Which is why I decided to conduct this 12 wrap experiment…and share it. I want to teach you how to look for and appreciate every change..and show you that this is a natural and more cost effective option than going under the knife and having a tummy tuck. Follow the blog for weekly updates…. Categories: 12 wrap challenge | Permalink. Ultimate body wrap by itworks – it’s a scam right? It’s a scam right, it doesn’t work. I tried a wrap and it didn’t work, nothing happened. You know, even If I had a £1 for every time I heard that, I still would be better off by sharing wraps with people!! I will be brutally honest..because, I am not a business owner who is going to make it all pink and fluffy and tell your its a magic wrap. As a coach and personal trainer I will be blunt. 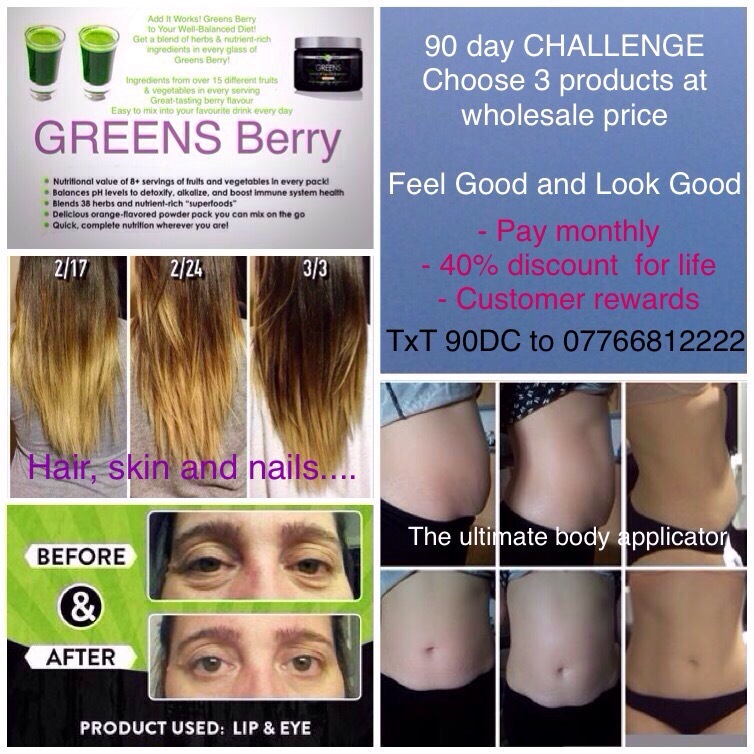 To this ⬇️⬇️⬇️⬇️ in one wrap…..
Then let me show you the way to then rainbow,where pot of gold is! Listen, No one wears one wrap and wakes up with a washboard stomach the next day. Our wraps are designed to aid weight loss and exercise, not to replace it. They improve the texture of the skin and reduce stretch marks and cellulite.They do not make you wake up with a washboard stomach, after one application. Did you know, Every single ingredients in our body wrap has the ability to improve skin. Tighten ,it, tone it, firm it. So to say that our rules around drinking water and avoiding salt , can be done without the wrap and still get results is avoiding the fact that ingredients in the product are known for their skin healing qualities. They are not just sitting there doing jack…. 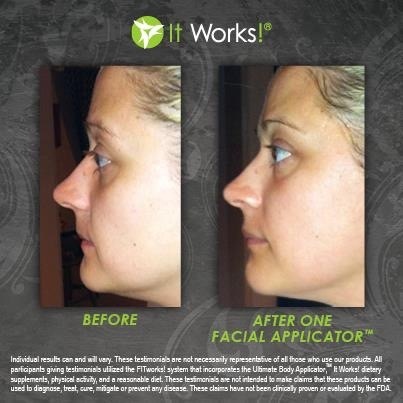 If you have severely damaged skin, you will be excepting to do at least 12 wraps. 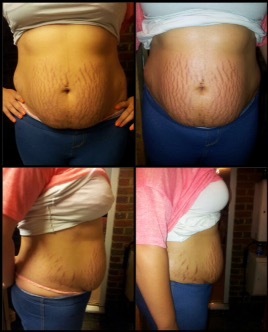 Maybe more, one wrap won’t fix a life time of poor diet and no exercise or the results of child bird.. One wrap will not make your stretch marks vanish. But one wrap, will get the ball rolling for you to achieve further results through either exercise, clean eating or further wrapping. If you have 8 stone to to loose , you won’t lose it in 8 days. So it baffles me why people thing 1 wrap will give them a flat stomach. But, our wraps down at exercise cannot do. I challenge any personal trainer to show me how they can smooth skin, how they can remove stretch marks, because we can’t. This is where wraps come in. 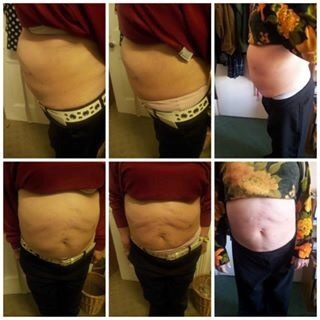 We get some great results from 1 wrap, I don’t deny this, in fact here are a few of my own customers . What you will see is that everyone is different. Some people will have better results the others. This is an indication of badly damaged the skin is. Because this is a skin treatment not a weight loss treatment. As you can see, the more wraps you do, the better the results. My best advise to anyone considering wrapping, is be realistic about the condition of your skin and what you want to achieve from wrapping. Always remember 1 wrap is a is treat, 4 are a treatment and 12 are a transformation. Remember that like with anything you have maintain these results with exercise and diet. If you want to treat yourself, or you want a full treatment, contact me today. Are you a student looking to earn extra money! It’s hard being a student, trying to find work that fits around your studies but that gives you that extra money you need, sometimes even to eat. When the average student graduates, they do so in figures between 20,000 to 50,000 pounds of debt. The point is, you’ll end paying it back for the rest of your life. Do you want to do that? What if you did the ground work , during your student years , that gave you added income but that also set you up, a residual income post university that paid your debt ? We are looking for bright , energetic students to join us as business owners. If you are student looking for experience, then look no further than building your own business with ItWorks Global. Why on earth would you spend your free time, working for free, or at a supermarket when you can gain marketing experience and earn money, by sharing a first to market spa and health product. 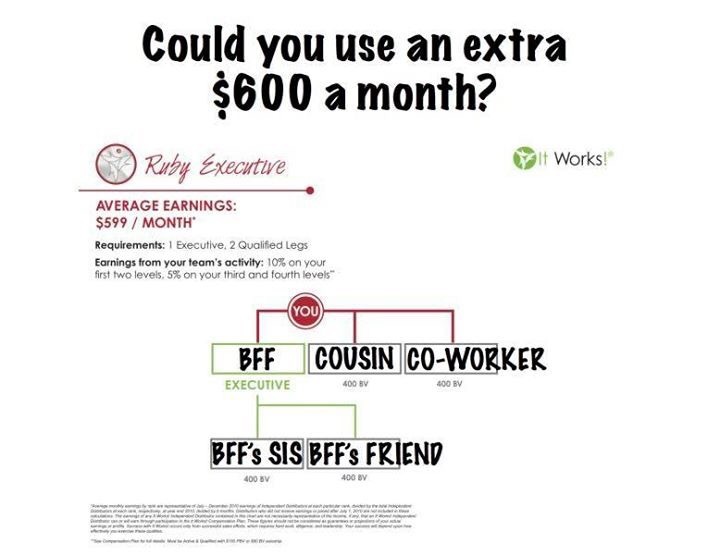 Joining ItWorks as a business owner, will help you to not only practise your marketing skills to real consumers but also earn you an additional income you can live from or put towards paying off that ever growing student debt. Which one of our levels would pay your debts when you graduate and which one would give you the money you need each month as a student? Let’s pick Ruby level start . 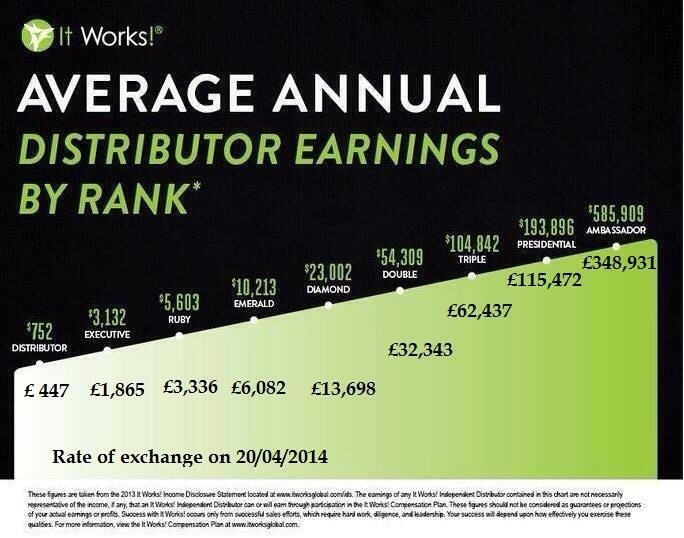 On average Ruby level will give you £300 pounds extra per month. 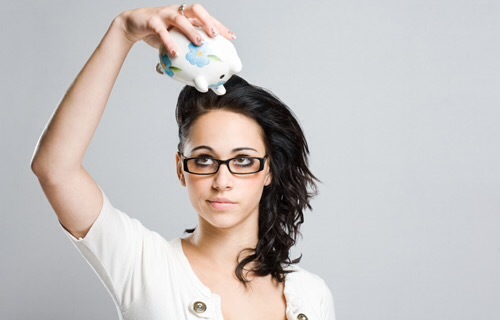 What if you earned that extra £300 per month , each month for the three years you spent at uni? What would that money buy your, food, clothes,books? What would you do if I showed you how you do that.. Your initial investment is to invest in the product you will market. That’s is $99/£73 For our starter kit. That’s a night out, or a pair of trainers…. What if you spent it on investing in your future? So, what happens when you buy your business in a box? Your first challenge in your first month of business to earn this investment back, and sign up four customers. You customers are your friends, family, social media contacts …. All you have to do is share our products with, as you share any other post on social media. Only this time your sharing it for your own gain. Achieving this challenge will make you bonus qualified and able to earn FREE product credit. Products you can earn retail price profit from! With no cost to yourself. Your second challenge is to build your business empire.